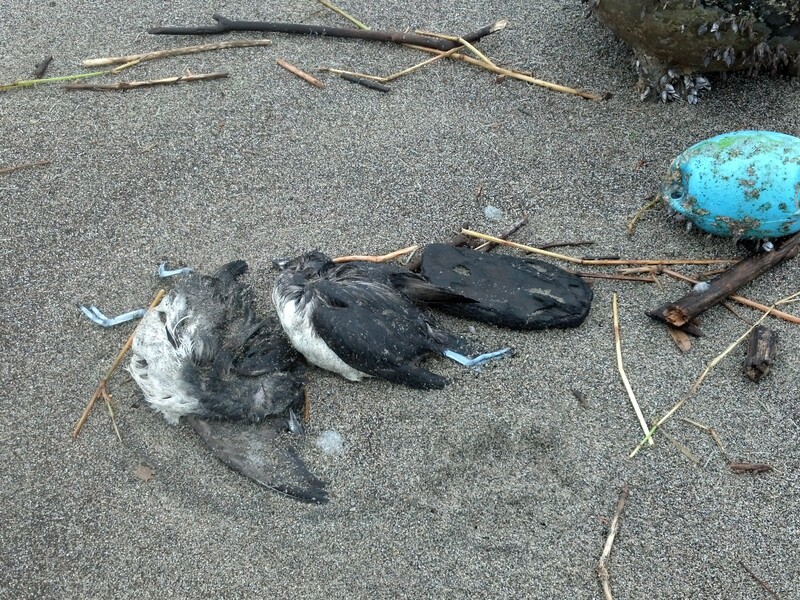 This entry was posted in Beached Birds, Uncategorized and tagged Alcids, British Columbia, California, Oregon, Washington, Wreck on January 6, 2015 by coasst. 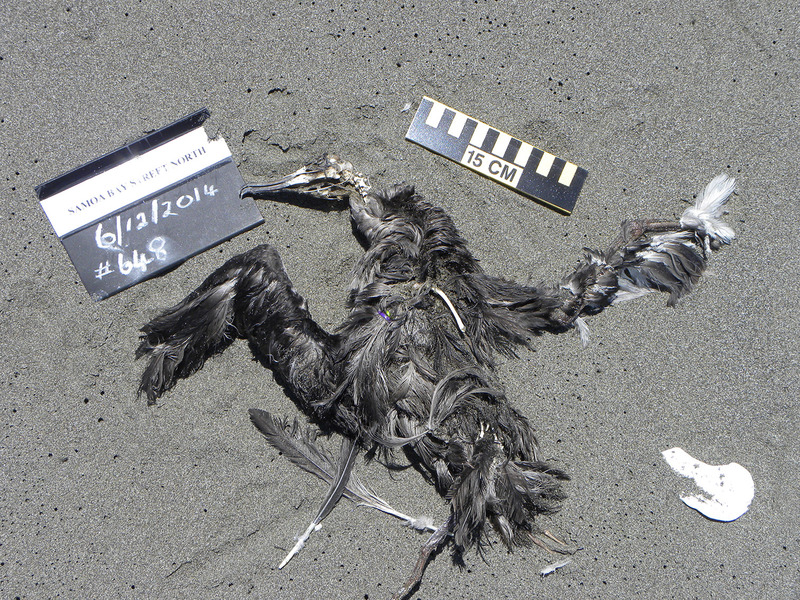 This entry was posted in Beached Birds, Uncategorized and tagged Alcids, California, Oregon, Washington, Wreck on December 22, 2014 by coasst. Over in England, dead birds are washing ashore in large numbers on beaches in Devon and Cornwall for the second time this year. 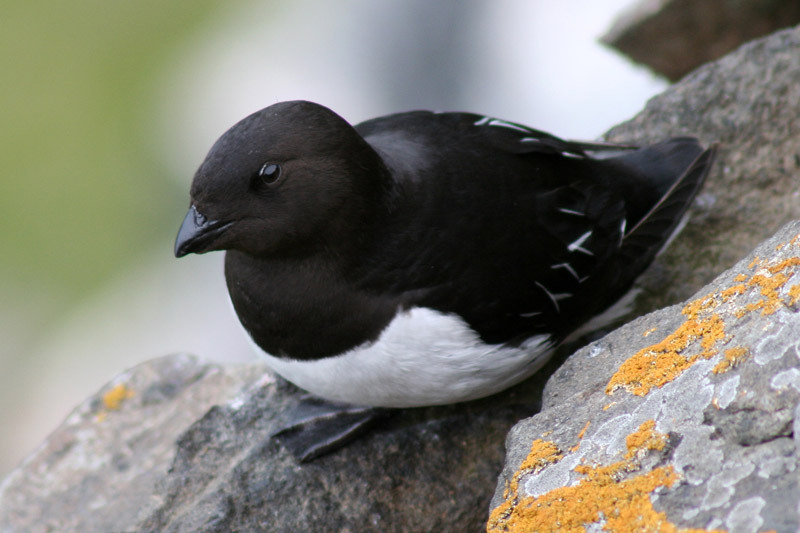 The birds, mostly guillemots (i.e., murres), but with a smattering of gannets, razorbills, and cormorants, are coated with a white, gluelike substance. So far there have been an estimated 200 birds affected by this substance since last week, with more suspected to wash up as prevailing winds and currents drive the carcasses to shore. 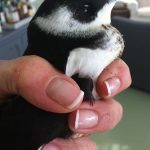 The Royal Society for the Protection of Birds (RSPB) has been taking in birds found coated in the substance that are still alive and using toothbrushes, “washing-up liquid,” and margarine to try and clean them. 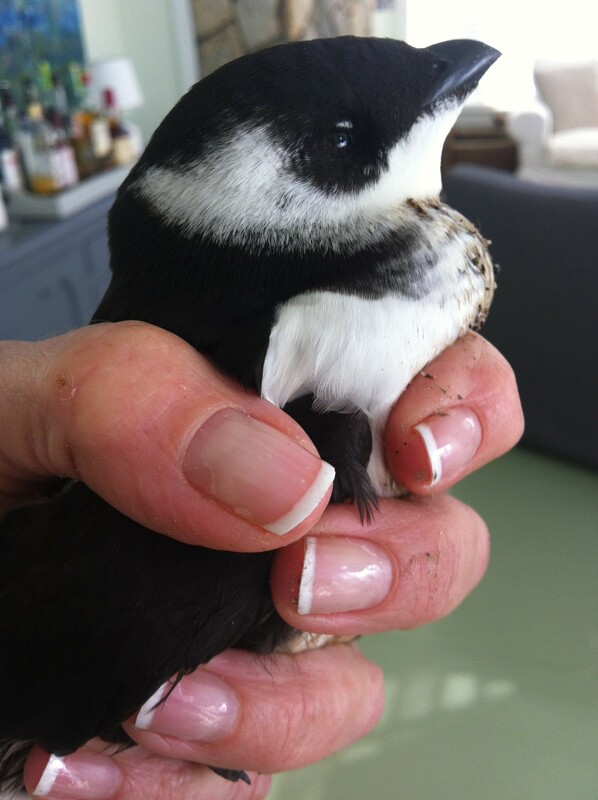 So far they have rescued 95 birds, but 25 have died as of Monday. 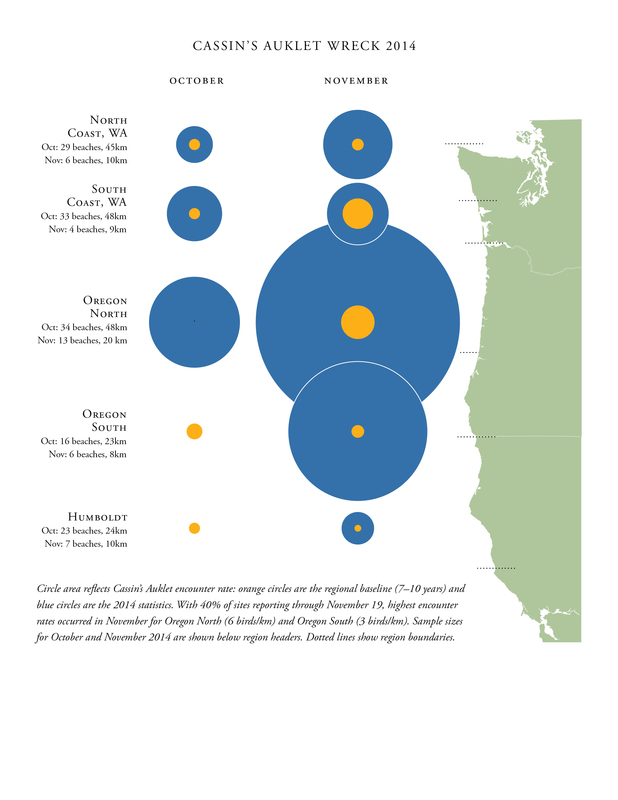 This kind of thing is tragic for both the birds and for the human population in the affected areas. Besides the emotional trauma of finding dozens of dead birds, there are economic implications for those areas where tourism is a large part of the economy. Unfortunately, this is not the first time this year a weird sticky substance has been found coating dead birds. 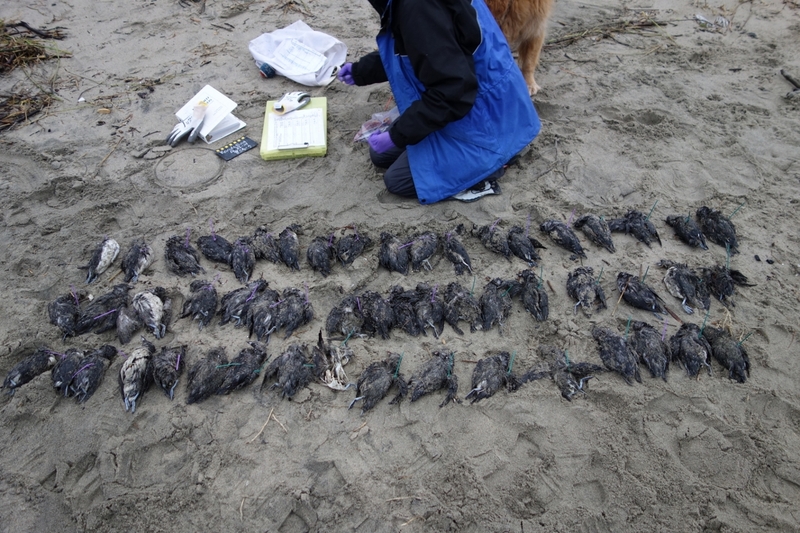 In February, an estimated 300 shorebirds were found covered in what is believed to be the same substance. 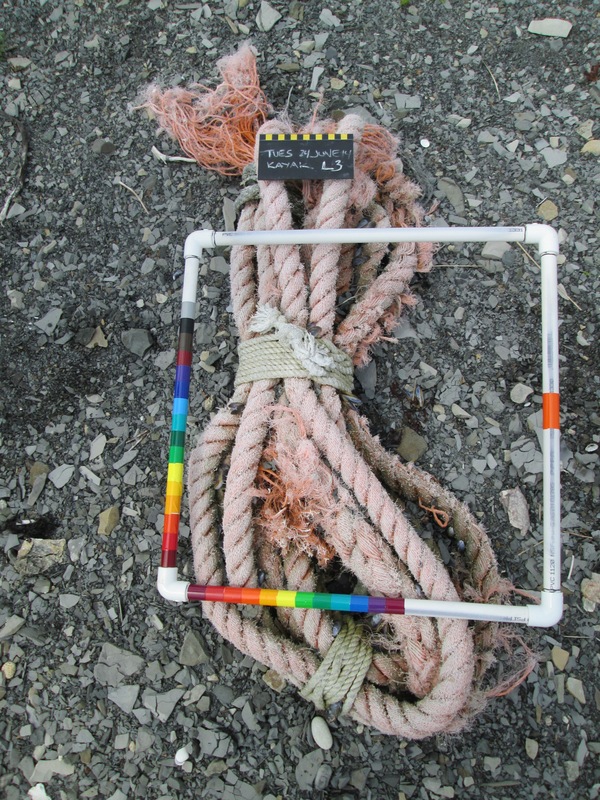 Tests run during the February incident determined that the sticky stuff was polyisobutene, a relatively common chemical aboard ships. Although testing is still in progress, it seems likely that this is the same thing. Currently, polyisobutene can be legally released into ocean waters under certain conditions. In light of these events, the RPSB has called for polyisobutene to be reclassified and its discharge into ocean waters outlawed. The British coastguard has been working to determine the source of the chemical, but has been unable to do so. More information from the BBC can be found here. 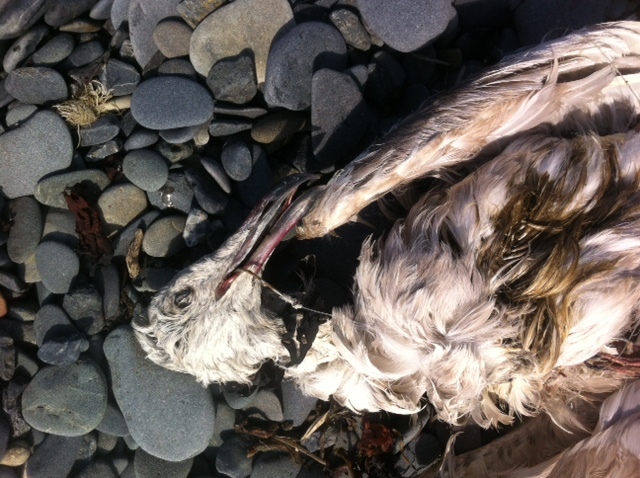 This entry was posted in Uncategorized and tagged Alcids, Europe, Seabird, Wreck on April 19, 2013 by coasst. In early April, an alarming number of dead birds washed up on the east coast of the UK – a large majority of the birds were puffins. It is the worst “wreck” of birds for over 50 years. Researchers have speculated that the event was caused by recent extreme weather. 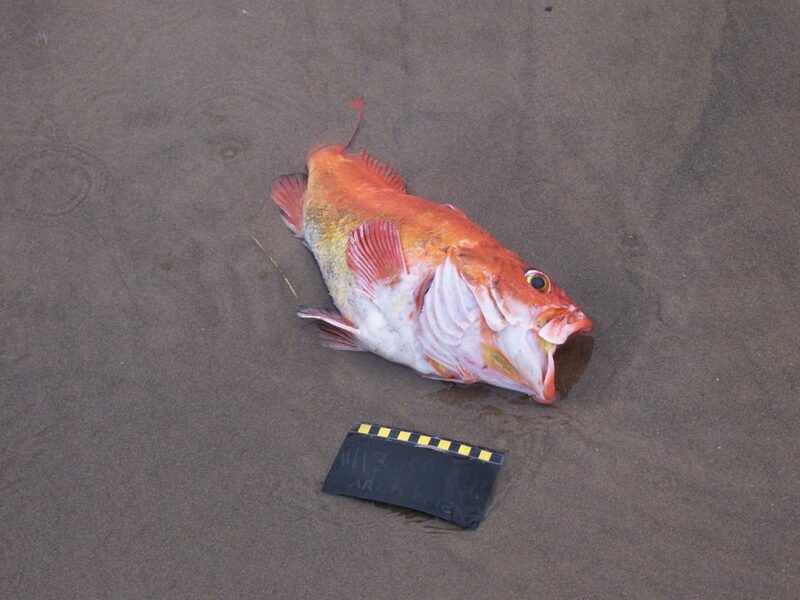 There have been no signs of pollution in the regions in which they were found. It is thought that the birds expended more energy on staying alive in the recent North Sea storms, making feeding impossible. 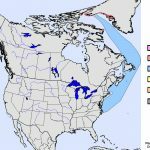 To makes matters worse, the success of the breeding season for many of these birds (which is quickly approaching) could be impacted from this event. 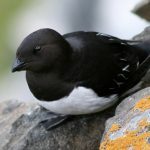 The majority of the deaths have already surfaced, but the Royal Society for the Protection of Birds, alongside volunteers, will proceed to monitor said beaches in the upcoming spring and summer months. 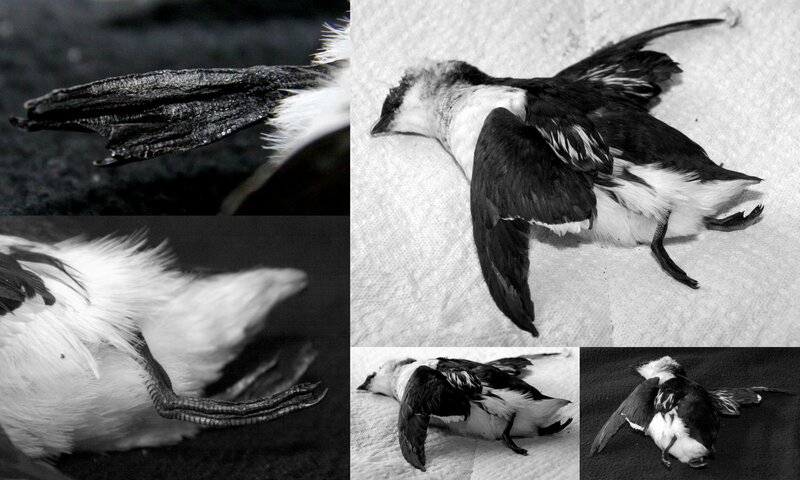 This entry was posted in Uncategorized and tagged Alcids, Europe, Seabird, Wreck on April 10, 2013 by coasst. Razorbill at bird cliff in Westfjords, Iceland. Photo taken/uploaded by Gsd97jks (Wikipedia user). 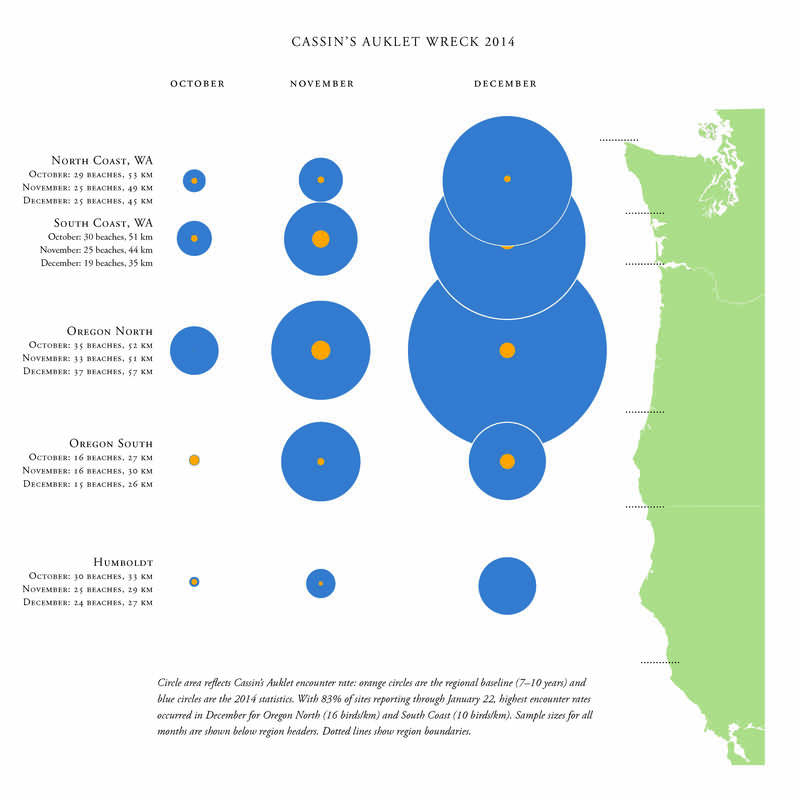 Check out some recent and intriguing alcid mortality events documented by SEANET, the Seabird Ecological Assessment Network. In case you didn’t know, SEANET is a citizen science project that conducts beached bird surveys on the east coast of the United States. 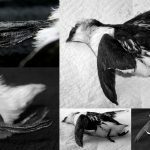 Since December of 2012, SEANET has documented an unusually high number of dead Razorbills, almost 30 as opposed to the usual 3-5 reported dead. 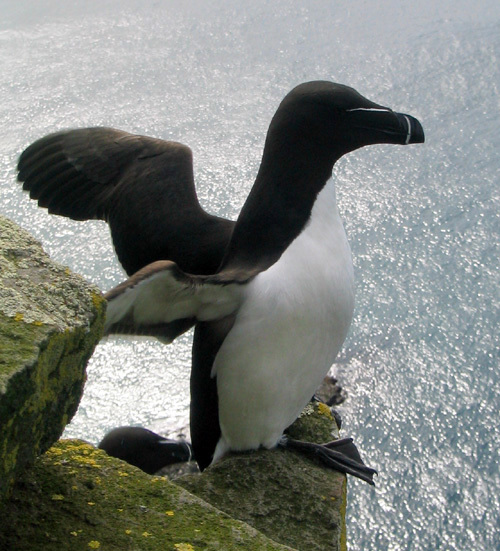 The Razorbills, which are usually found in the Northeastern coasts have been recovered in areas as far as North Carolina and Florida. Another strange incident observed by SEANET is the high Atlantic Puffin sightings, both dead and alive, in the Cape Cod area. 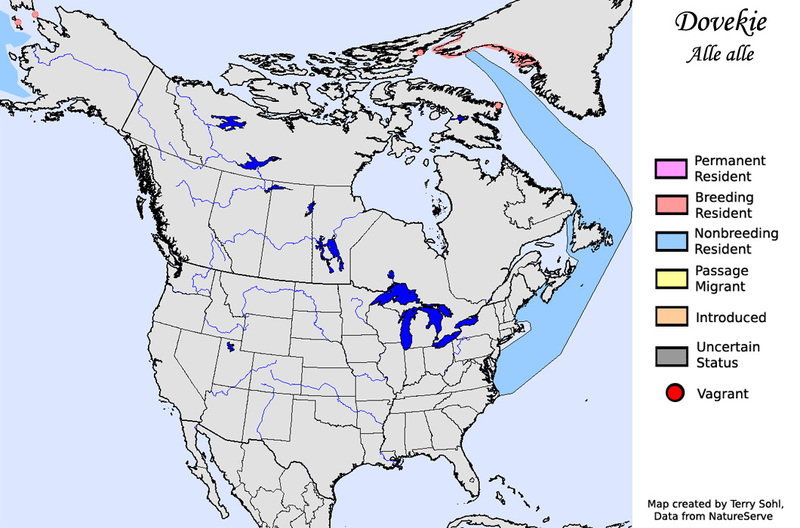 Considering reports of Atlantic Puffins are rare, this high number of reports is being linked with the antecedent storm that occurred in the area. SEANET is currently watching for further effects of the storm on the puffins. Finally, increased mortality of Dovekies in the Long Island area has been observed. SEANET has not documented abnormal mortality rates elsewhere. 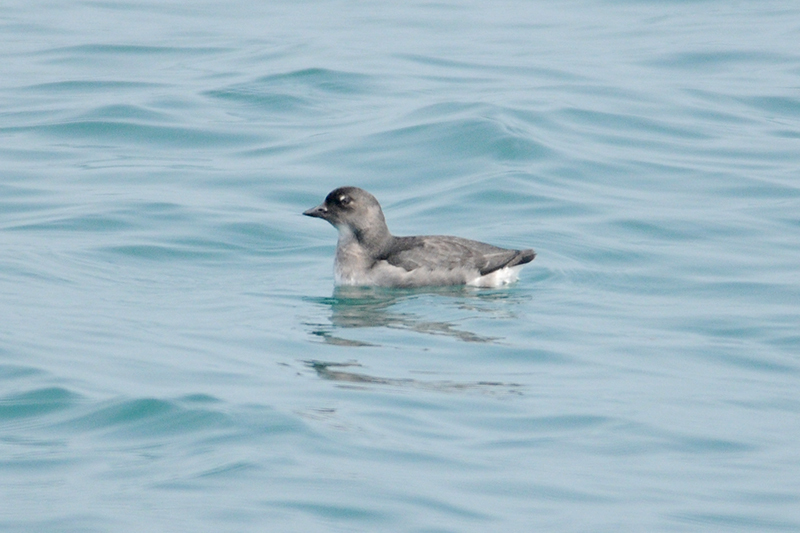 This entry was posted in Uncategorized and tagged Alcids, Seabird, Wreck on March 7, 2013 by coasst.